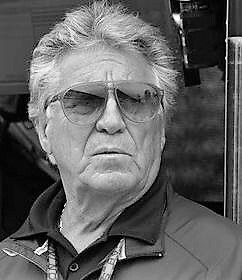 Mario Andretti, Racing Icon. Formula One Champion. Motivational Speaker. Not many have driven a race car better than Mario Andretti. He could make a bad car competitive and a competitive car victorious. He won the Indianapolis 500, the Daytona 500, the Formula One World Championship and the Pikes Peak Hillclimb. He won the Indy Car National Championship four times and was a three-time winner at Sebring. He won races in sports cars, sprint cars and stock cars – on ovals, road courses, drag strips, on dirt and on pavement. He won at virtually every level of motorsports since he arrived in America from his native Italy at age 15. He is a racing icon, considered by many to be the greatest race car driver in the history of the sport. Assessing his legacy is easy…he drove the careers of three men. He drove with a passion and joy that few have equaled – and he won. Mario Andretti took the checkered flag 111 times during his career – a career that stretched five decades. The admiration for Andretti has been for his achievements on the race track. He is in the very elite, top-superstar category of his game. Yet, if you look at his whole life, he has seen the world that most people will never see.